Paris, France - During his “Vidovdan 2015” voyage to the Diocese of Western Europe His Grace Bishop Maxim had a very fruitful visit. On Saturday, June 27, accompanied by Fr. Zeljko and Novak Bilic, the Bishop visited the monastic community of the Nativity of the All-Holy Mother of God in Bois-Salair (West France). 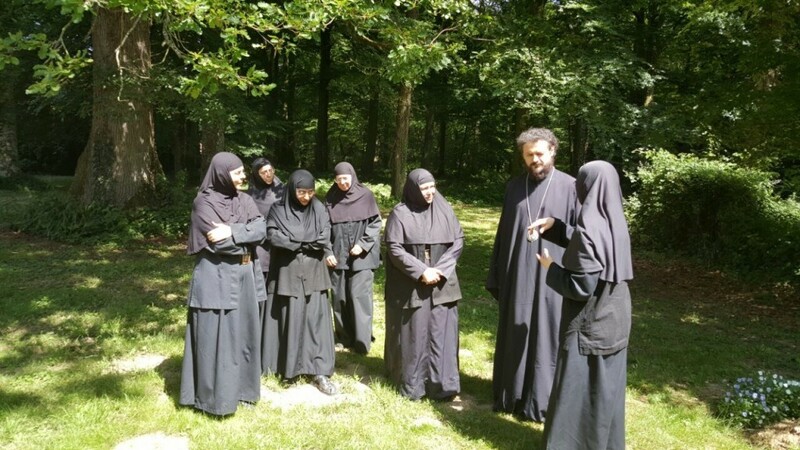 The abbess of the monastery Héléna with six sisters offered a warm reception. 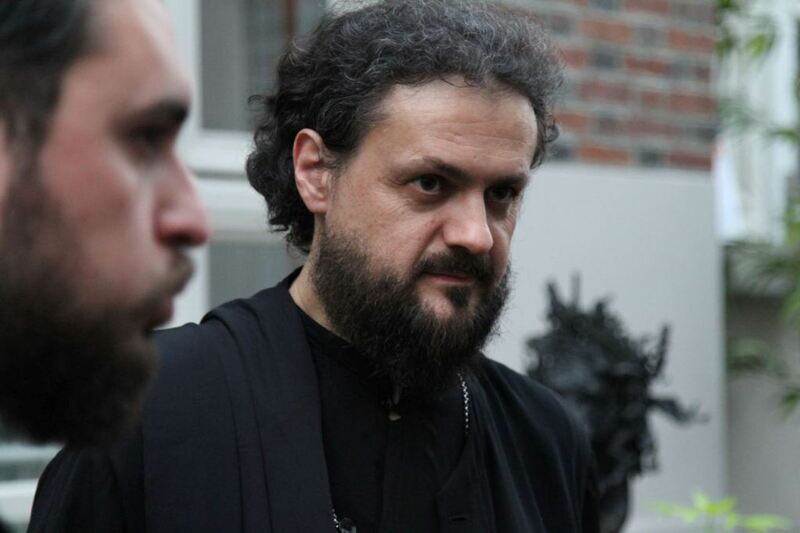 Bishop Luka of the Serbian Diocese also gave a cordial welcome to bishop Maxim in Paris. The same book was presented in Paris on Monday, June 29, 2015, at 19h at l'Auditorium Jean XXIII de la Mutuelle Saint-Christophe, 277 rue Saint-Jacques. Bishop Maxim of the Western American Diocese spoke about the theological and historical significance of the book. Raphaëlle Ziadé, a specialist of the byzantine art, from Réunion des Musées nationaux, explained some of the most prominent aspects of the Serbia's medieval visual art in Kosovo and Metohija. 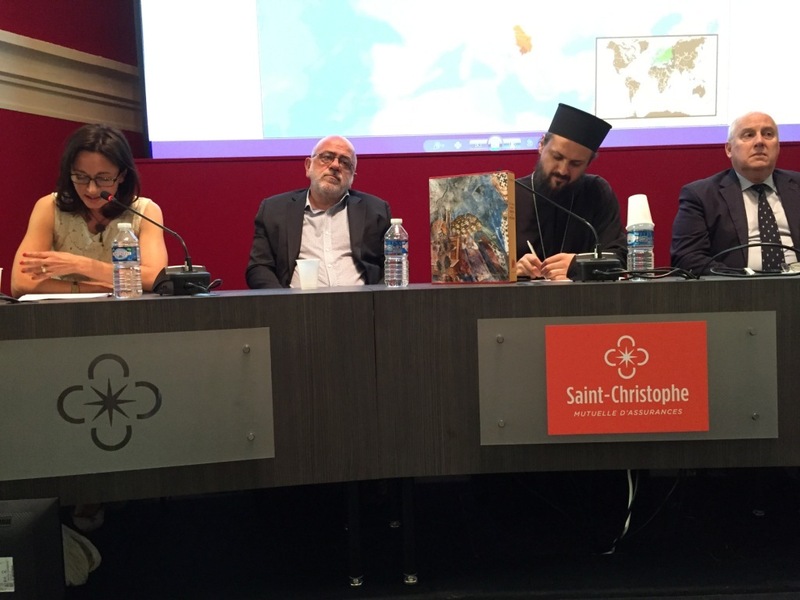 She emphasized particulary the a new humanism which characterizes these works, and it was this style that served as a basis for what Gabriel Millet termed “the Byzantine Renaissance.” Jean-François Colosimo, director of Editions du Cerf offered a wider perspective on the position of Christians in the Middle East. The artistic and religious musings on Kosovo's medieval art are compelling, yet, as in Colosimo equally remarked, they also posess an academic value and critical sharpness of description. Jacques Hogard, colonel and former commander of the special forces in Kosovo gave a sober and eye-opening assessment of his experience and the fiasco of NATO mission in Kosovo and Metohija and the true nature of the Western involvement in Serbia's southern province. 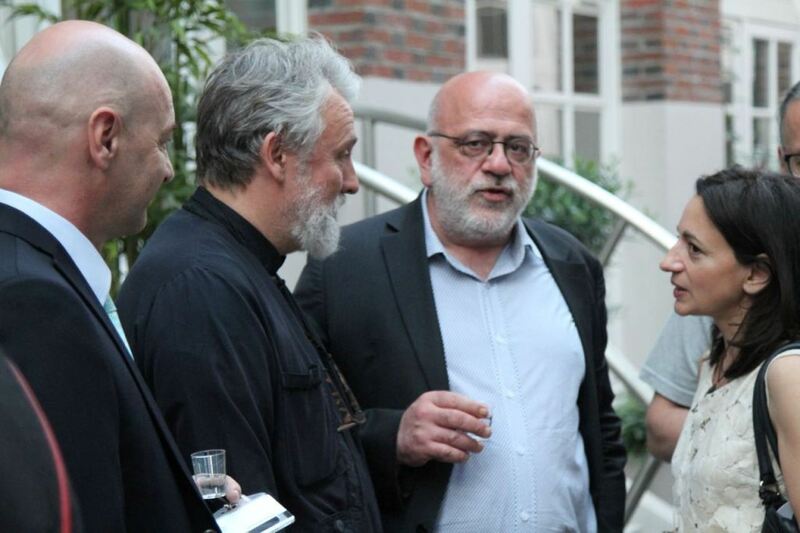 Jean-Christophe Buisson, chief of the cultural redaction of Figaro Magazine emphasized that this book is one of the most extraordinary documents of the history of the Serbian destiny in Kosovo. He also quited from the book of Hieromoin Athanase, “Dossier Kosovo”. Dr. Ljubomir Mihailovic, moderator of the event, explicitly invoked the notion of a universal prominence of Serbia’s heritage in Kosovo and Metohija. There are some claims that this monograph represents a monumental step forward in illuminating the Christian heritage of Kosovo and it will have profound impact on our understanding of the future of Europe. The publication should infiltrate into culture and revivify among intellectuals a feeling for the aesthetic heart of the Serbian people in Kosovo and Metohija. 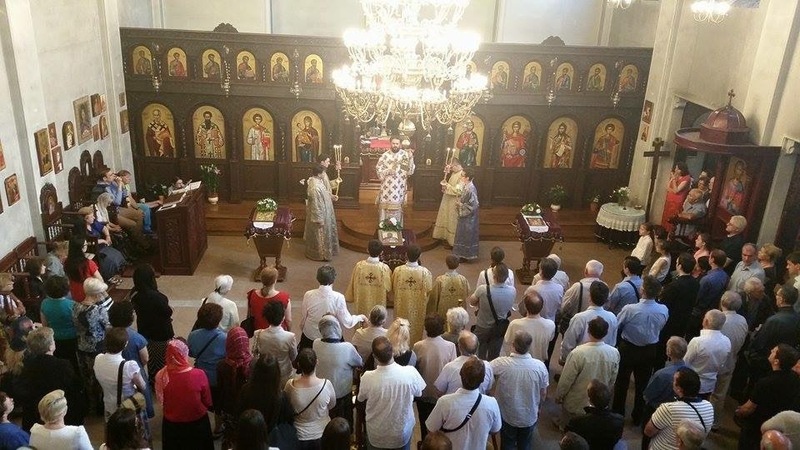 The event was organized by the Serbian Western Diocese for Europe in cooperation with Mutuelle d’Assurance Saint Christophe et Orthodoxie.com. On this voyage, Bishop Maxim visited also the Catholic University of Paris and presented the book on Kosovo to Philippe Bordeyne, the Rector of this institution. This institution, founded in 1875 and established in the heart of Paris in the Latin Quarter, adheres to a long Christian tradition of university education. Fr. Philippe and Fr. Thierry-Marie Courau (the Dean) spoke about the the Catholic University of Paris, which including its six faculties, six specialized institutes, and its eleven associated schools of higher education, and thanks to its organization on a human scale, allows each student to discover all kinds of talents during their degree and professional programs of study. This faculty of theology is the largest francophone school of theology in the world.